I’ve never been enthusiastic about coconut water; it’s just a bit meh. However, I strive to live by a waste-not-want-not philosophy so when I had some left over coconut water after making Coconut Jam I did what was necessary to make it palatable – I added alcohol. And so with a little experimentation the Harry Nilsson’s Lime-in-the-Coconut Cocktail was born! I am very pleased to say that I love coconut water now. 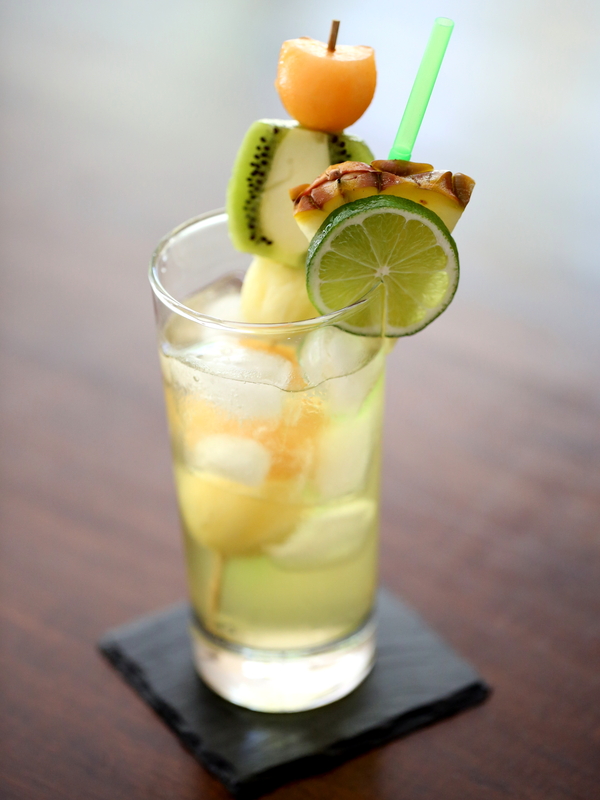 This cocktail is light and refreshing and just the thing for a hot day. It goes down very easily despite being fairly high in alcohol content so do be careful! Serve the cocktail with an outlandish garnish while listening to the song. It’s here on YouTube. Cheers! Mix all ingredients together and serve in a tall glass with lots of ice. Don’t forget the garnish! Posted in DrinksTagged bacardi, bombay sapphire, cocktails, coconut, coconut water, harry nilsson, limeBookmark the permalink. What a fabulous idea 🙂 I just heard the song yesterday and became all happy inside – will definitely try this drink next time listening to the song!